Jacques Lipchitz (Druskieniki, Lithuania, 1891 – Capri, Italy, 1973) is a key figure in the Cubist movement and in the artistic panorama of the 20th century avant-garde, as were Pablo Picasso, Georges Braque and Julio González. 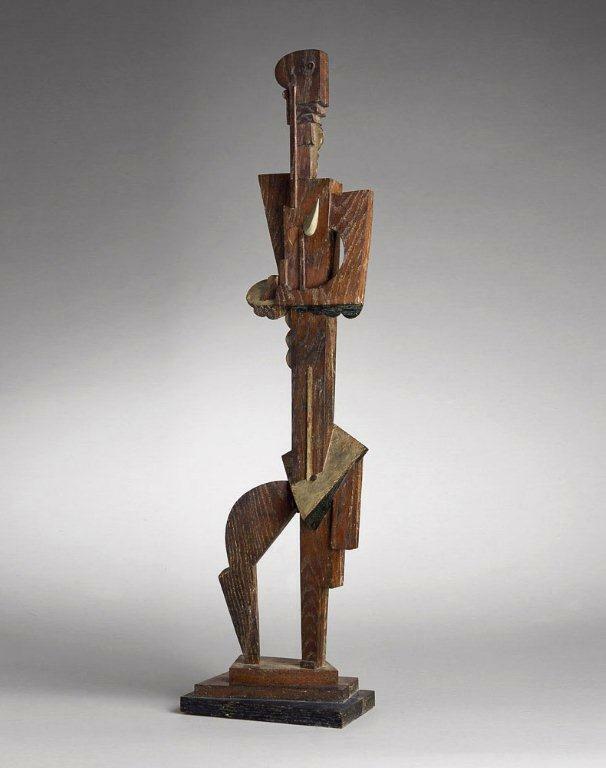 These artists coincided with Lipchitz in Paris in the first two decades of that century, sharing concerns and projects, laying the foundations of the Cubist vocabulary in painting and sculpture. Cubism is a door which opens onto not only a style but also a philosophy of looking at space to subsequently shape it in one’s own way. In 1914 Lipchitz met Picasso through Diego Rivera and in 1915 he met Juan Gris. His first cubist work dates from 1914, Sailor with Guitar. In 1916 Modigliani paints his portrait with his first wife now in the Art Institute of Chicago. Jacques Lipchitz’s work has been commented upon internationally by leading art scholars and the most eminent museum directors. It is present in practically every museum in the world, from the Metropolitan Museum in New York to the Israel Museum in Jerusalem, to the Tate Gallery in London to the Museum of Rotterdam. His public work is in cities such as Philadelphia, Rome, Paris, London, Los Angeles, etc.. This great artist who had to emigrate in 1909 from Lithuania to France and then in 1941 from there to the United States, always took his ideas and talent with him. His work not only speaks of exiles but also of the misfortunes of man (in the mid 1950’s his New York studio burned down) and above all of man’s recoveries, with references both to Greek mythology and to the Old Testament. In his personal cocktail shaker of forms, Lipchitz returns to the images of different religious traditions to create a poem, visual in his case, like lyrical mysticism that transcends the usual meaning of words in search of the ineffable, of a transcendental sculptural experience. This very personal language of interacting forms which Lipchitz developed constitutes his style and is detected immediately. It goes beyond the literal sense of the characters of Scripture or the Mythology by “connecting and binding” his unique sculpture, a figuration that is not as abrupt as it might appear at first glance, and which gradually reveals itself to the gaze, creating formal movement with bodies. The sense of movement created by the interpenetration of forms and volumes, the feeling of lightness and of weight, the kinds of schematic narrative and the monumental scale, speak to us, in their difficult yet attractive forms, of the force of human action and of the struggle for a better, more sincere world. There is in the life of Jacques Lipchitz, a cosmopolitan and tireless traveler, a great desire to transcend boundaries with his art, a longed-for and desired universality in his artistic evangelisation which expresses many themes always in dialogue with current experiences. It is a sculpture to look at and meditate on at the same time. Lipchitz was in contact with the best architects of the day and had good studios one on the outskirts of Paris designed and built by Le Corbusier in 1922-24 and then in Hastings on Hudson, outside of New York City, built by Martin Lowenfish in 1952.